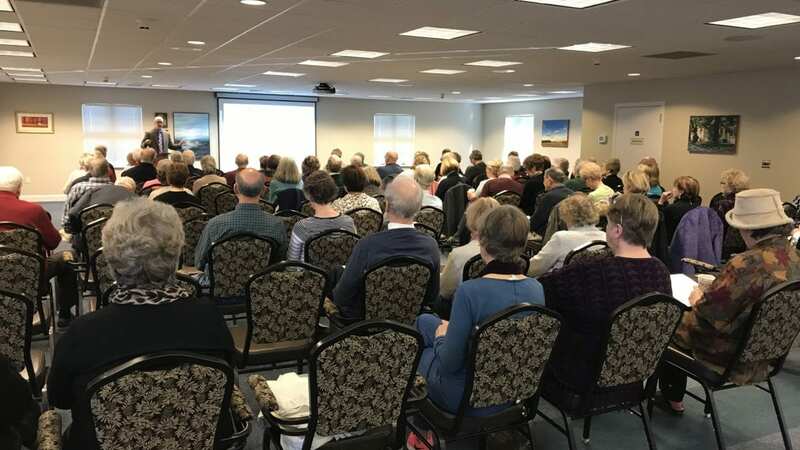 Please enjoy the following guest blog post written by Lancaster Realtor, Mike Julian, summarizing his educational seminar “Ready Set Sold” held January 26,2018 at Homestead Village. If you’re like many of the people that I work with, you’ve been living in, and enjoying your home, for somewhere between 20 and 30 years. Your home is more than walls, a basement, a roof and a yard. It is almost like a part of the family – the phrase “if these walls could talk” rings true. Your home is packed with memories…the first day of school, playing in the backyard, Christmas, birthdays, graduation and the list goes on. And now a new phase of life is approaching. It’s time to downsize and simplify…for some those words are like a breath of fresh air, and for others they bring a sense of dread and maybe even a sense of loss. On top of all the emotional turmoil you may feel there is apprehension because selling a home is not something that you’ve done frequently, maybe you’ve never experienced the process at all. It seems like a BIG step. Where do you start, what do you need to know? From my broad experience in real estate I’ve found that people ask a few key questions as they consider a move. How’s the market? How long will it take to sell my home? How has the market changed? Let me touch on each of these questions – but in doing so let me lay a little ground work by sharing 3 key factors that will influence the real estate market in 2018. First, inventory has been low for nearly 10 months – meaning we are selling homes at or near the pace of the numbers of new listings we take month-to-month. This keeps inventory low and this trend is expected to continue through the Spring and Summer of 2018. Second, Millennials (those born between the early 1980’s and 1990’s) will become a stronger force in the market and will account for 43% of the market by the end of 2018 (Realtor.com 11/29/17). Millennials have been slow to enter the real estate market (as compared to earlier generations) and instead chose to rent, or even live at home after college. Regardless of the reason for delay, their entry into the market should help real estate to remain active and healthy. Third, interest rates are projected to rise through the end of 2018, and beyond. It’s hard to predict how quickly this will occur or how high a rise may go, but it will impact buyers. Buyers who have struggled with credit, or who haven’t been good at saving for a home, may find themselves pushed out of the market as the interest rates rise. Even those who are prepared will see their buying power shrink as they must dedicate more dollars to paying the interest on their loan, instead of paying down the principal of the loan. With this knowledge let’s think about the question “How’s the market”. As has been discussed, the market is healthy. Over the last 5 years the Lancaster County market has shown an increase in the year-over-year numbers of homes sold. From 2013 to the close of 2017 the total increase has equated to 25% of market growth. This growth is further reflected in the days on the market being shortened – meaning homes are on the market for less time each year, compared to the previous year. Additionally, sellers have found they are getting stronger offers for their home. In the past a 94%-97% list-to-sold ratio was considered normal. In 2017 that same average has been 99.6% – which supports the notion that we are in a “seller’s market”. While there are several reasons to the “why” the market is strong, one of the easiest to understand is that in 2017 we listed fewer homes than in 2016, but we sold more homes comparatively. The outcome has been a market that currently favors the seller. One benefit of this market, particularly for sellers who have lived in a home for a long period, is that the market is more willing to overlook cosmetic flaws in a home. So while a buyer may not like your wallpaper, or dated bathroom, they may are more willing to see the bigger picture of getting a home that has the size, style and location they want. Once Sellers feel comfortable with the activity in the market they ask “How long will it take to sell my home?”. This is one of the toughest questions because every home is different, and every seller is motivated (or not motivated) at a different level. When we look at the market we see that homes are selling in about 60 days, which is about a week faster than they did in 2016. Bear in mind that these broad-brush statistics consider ALL homes sold which means the good, the bad, the overpriced, the ugly, and the stylish are all lumped together. In fact, my experience has been, for homes that are priced properly and have been prepared for sale prior to going on the market, that the days-on-market has been closer to 20 days in 2017. For sellers, particularly those who have lived in their home for more than 20 years, the changes to how the process of selling works is important to discuss. For many, their last experience in buying a home was a sales contract that was a few pages in length, one where the phrase “Caveat Emptor” (buyer beware) was standard operating procedure and one where they (as a buyer) saved money (20% or more) before the bought their first home. So, how has the market changed? To start the sales contract is now 10 pages long, and is written with much more emphasis on the buyer having the ability to limit risk and strengthen their knowledge about a home than they might have 20 years ago. This knowledge stems from the requirement that every Seller now provide a 13-page disclosure on the home. This “Seller’s Disclosure” touches on most of the home’s components – roof, attic, basement, plumbing, electric, HVAC system, etc… The intent is that Sellers will disclose any past, or current, issue that has occurred – including how that issue may have been corrected. Beyond the Seller’s Disclosure, the sales contract now provides ten inspection contingencies apart from the typical contingency for a mortgage. These ten include inspections for Home/Property, Wood Destroying Insects, Deeds/Restrictions/Zoning, Water Service, Radon, On-Lot Sewage, Property/Flood Insurance, Property Boundaries, Lead Based Paint Hazards, and Other. A Buyer is able to elect any/all of these and though the inspections typically happen at the Buyers expense, the results often open up a second round of negotiating about price and/or repairs. The final “big” change to the market is the process and availability of financing. Often for those who have lived in their home for decades, the financing of a home seems a bit mysterious. Today’s first-time buyer will likely not have saved 20% for a down payment, nor will they have the necessary funds to close on a home. Instead they rely on favorable bank financing requiring as little as a 3.5% down payment, and they look to the Seller to share in their closing costs. As a result, the term “seller help” has come into vogue. The term means that the Buyer is not able to pay the full closing costs required at settlement (these can be 6-7% of the loan amount) and so they ask the Seller to pay a portion of them on their behalf. By law this “Seller’s help” can’t exceed 6%, but even so it is a departure from what you may have experienced when you bought your home. Armed with all this new information you may be tempted to feel a bit overwhelmed. The good news is that there are some great realtors in Lancaster County that can help you know how to interpret all this information through the lens of your specific home and situation. The best thing you can do is to talk with your realtor of choice early. This article was written by Mike Julian of the Realty One Group Unlimited. Mike Julian is a 15 year real estate veteran and has helped hundreds of families buy and sell homes in Central PA. His “Extra Mile” approach to real estate has helped him to become a top agent locally and nationally. Mike was President of the Realtor Association in 2013, was honored with the Distinguished Service Award in 2015 for his work with clients and his dedication to the real estate industry. In 2016 Mike was named Realtor of the Year and in 2016 he ranked in the top 1% of all Realty One Group franchise agents across the nation. He’s served the Senior market with distinction and is recognized as the area’s top Senior Real Estate Specialist. Mike has also helped numerous residents sell their homes as they move to Homestead Village.